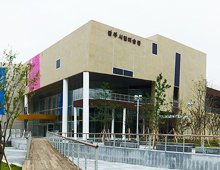 Gwangju Museum of Art is striving to become a cultural zone in the daily lives of the general public by offering various cultural events. Copyright (C) Gwangju MUSEUM OF ART. All Rights Reserved.